The website of the Giulietta Register, the worldwide organisation dedicated to the enjoyment and preservation of Alfa Romeo's 750 and 101 series Giulietta and Giulia Cars. 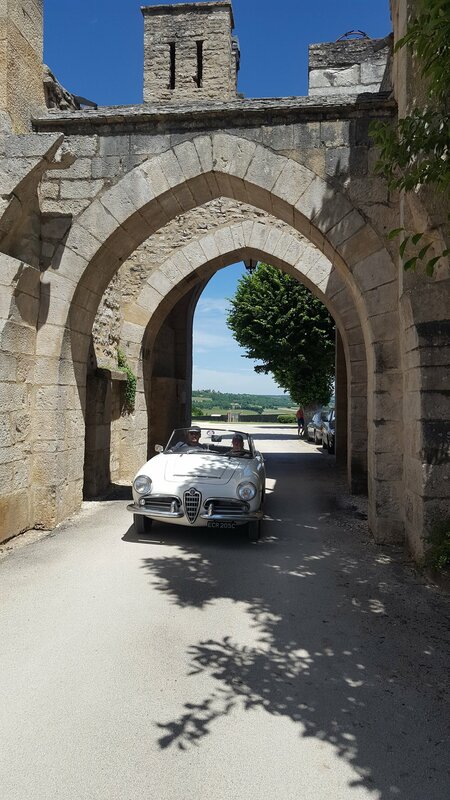 Our trip to Aix les Bain in the foothills of the French Alps combined superb driving routes with a relaxed itinerary - both made even more enjoyable by warm sunny weather for almost the whole week. We were 19 people, including Brad and Sherry and Don and Lynda from the USA, driving in ten cars (including a late model MGF which managed to keep up most of the time). We crossed from UK into France by train from Folkstone on 7 June, returning from Calais on 14 June, 2017. Overnight stops near Reims and in Beaune on the way to Aix les Bains gave us plenty of time to savour the delightful roads as well as a cold beer or two on arrival. We made The Grand Hotel du Parc our home for a leisurely three-day weekend in Aix les Bains. M. Allard and his small team looked after us well with a tasty group dinner in the charming period dining room and cheerful, albeit sometimes remote, service in the curiously purple but no less welcoming bar, which was our meeting place. Saturday was spent on foot exploring the town and shore of Lake Bouget. With the exception of a couple early Alpines, a mostly desultory gathering of Renault cars, made less bearable by amplified incongruous music, in the lakefront carpark was only briefly diverting. The lakeside park was perfect for unwinding in readiness to enjoy dinner somewhere downtown that evening. On Sunday, we followed our chairman on a beautifully hilly and initially remote driving route south west of the town with fabulous views towards a snow-covered Mont Blanc and spectacular receding rows of mountains in hues of purple and blue. Then on to exquisite Lake Aiguebelette and more and more locals out for a drive or a swim, and looking for lunch. 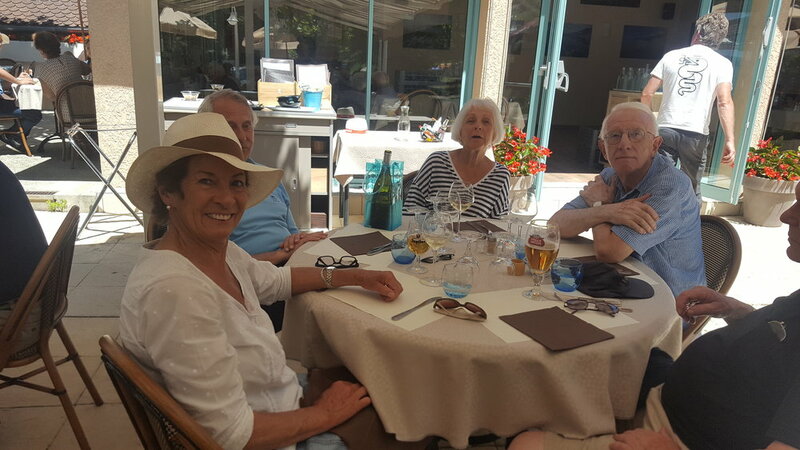 Our Chairman demonstrated his usual foresight in reserving tables for us all in a lakeside restaurant, Les Belles Rives, with excellent food. A cooling ice-cream stop at peaceful and scenic nature reserve en-route rounded off a most enjoyable day out. Returning home, we stopped over in Le Creusot, in the Bourgogne Region, and in Troyes with its many medieval town buildings. Our last supper together in Troyes, aptly at the Bella Italia Restaurant, was under the stars. Prizes were awarded on the whim of the Chairman to the enjoyment of all, for all were recognised in one way or another, including the tour organisers. Modestly, the chairman did not award himself any prize but his own major input into the organisation of this tour was greatly appreciated by all around the table, and is recognised again here. All in all, a relaxing week with great routes well matched to planned driving times, good food, and hotels, absence of breakdowns, and the usual warm friendships reinforced along the way, made for another hugely enjoyable and successful trip.